We are NO LONGER updating this website. Our new website is currently under development and available for viewing. Pups are sold on a spay/neuter contract with limited registration. Pups are microchipped. Pups come with a harness, leash, puppy pack, food sample, and lots of info. Our pups also come with a 2 year health guarantee, and a lifelong commitment. 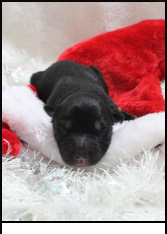 Pups do not under any circumstances leave for their new homes before 9-10 weeks of age. Our dogs are NOT kennel dogs and our puppies will NEVER be kennel dogs. 1) Filling out an adoption application and getting approved for a Legends Alaskan Malamute puppy is required. No exceptions period. We do not sell our puppies to anyone who wants to hand over money. We are very selective in the homes we choose to ensure there is a proper match and that our pups are going where they will have the best life ever!! Do not let that discourage you from applying. Some people feel we would not approve them for a home for some reason or another and they have been approved and they have turned out to be the best homes ever!! 2) Once we have spoken with you about the litter or pup you are interested in and have gone over your adoption application with you, we will discuss how you would like to make your $500.00 nonrefundable (but transferable) holding fee (comes off the price of the baby). Legends Alaskan Malamutes always reserves right to first pick of either gender.